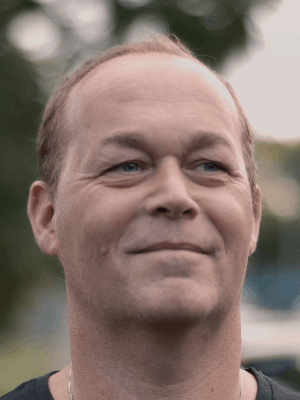 Hair loss can be just as distressing for men as it is for women. 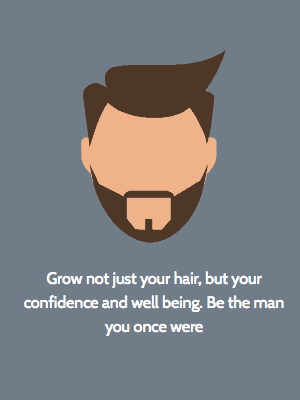 Hair loss in men can be caused for many reasons, but one of the biggest reasons is genetics. 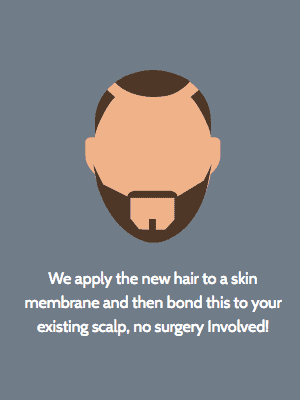 We offer a non-surgical hair loss treatment for men which provides a safe solution which will bring your hair back slowly over time rather than overnight. Our solution attracts customers from all over the UK to our clinic in Manchester to get the high quality results they deserve. Why not start your journey today by booking a FREE initial consultation with our friendly staff now. The process takes place from start to finish in a private cubicle (this includes washing right through to blow dry). Our highly trained staff will make you feel comfortable during the treatment during the whole appointment. 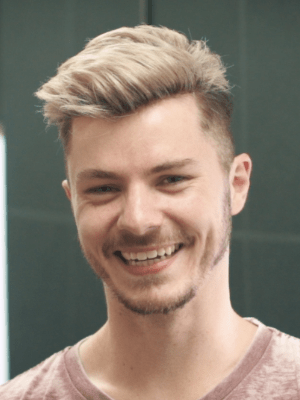 Once you have your new hair system in place you will need to visit regularly to have your hair maintained in the same way that you go to the hairdressers. Your new hair can be dried as normal and you can carry on with what you normally do including sports and even swimming. We have worked in the industry since the 1980s and highly trained in cutting and bonding hair to give a natural result. 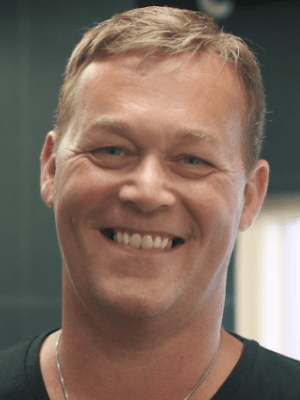 We all have the qualification it takes to do this which is very different to a regular hairdressing qualification. We also have years of practical know how to get great results. Hair growth has become very popular in the last few years and franchises are now popping up. Customers are having to pay a cut to the franchise owner and to the hairdresser to implement it. 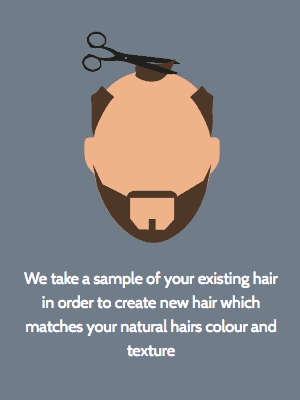 The Hair Growth Studio is privately owned, have a reputation to look after and endeavour to be competitively priced without compromising the quality of our service. If you want 100% natural looking hair then consider choosing the Hair Growth Studio. £48 per visit. Customers normally visit around once a month to keep hair looking good. I was very nervous about the whole procedure but from the moment I entered the studio Lisa and her team put me at ease! They are completely professional but very understanding, sympathetic and helpful. I cannot fault the service I received or the product and the end results! Totally amazed and would recommend them to anyone who is considering visiting the hair growth studio!! Changed my life. Cannot thank them enough!! Our staff are friendly and understanding, if you struggle to talk about your hair loss then don’t worry – we hear it all day every day! 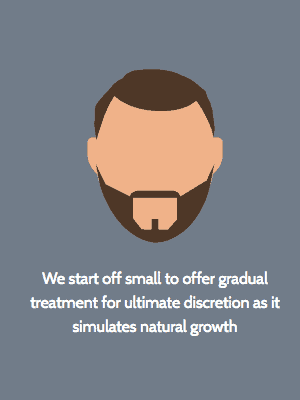 We have helped men who have classic male pattern baldness, alopecia, right through to patients on chemotherapy. So no need to feel embarrassed, get in touch today for a no obligation chat with our friendly staff. Read frequently asked questions about what we do! Find out what commonly causes hair loss.